The aim of the study is to determine the problems that school administrators and Syrian Teachers encounter during the educational process of Syrian Refugee Children continuing their education in basic education institutions Ankara-Altındağ province. So as to identify and diagnose in detail the views of the school administrators and Syrian teachers in basic education institutions regarding the problems they face while teaching Syrian refugee and asylum-seeking children, the research was designed using a qualitative pattern. Syrian teachers who migrated to Turkey from Syria and Turkish school administrators who work in four primary schools; Fatih Sultan Mehmet Primary School, Nazife Hatun Primary School, Şili Primary School and Taşça Primary School, affiliated to the General Directorate of Primary Education of Altındağ district of Ankara province, constituted the population of the research. The interviews were conducted on a voluntary basis with four school principals and 16 teachers from among the 86 Syrian teachers who are working in these schools. Immigration can be defined as changing places of people on account of social, economic, political or natural reasons. (Adıgüzel, 2016). 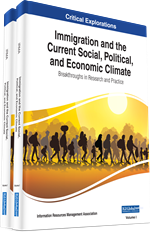 In other words, immigration can be described as individuals or groups’ moving/emigration from one settlement to another place; to a country because of political, economic or social causes (TDK, n.d.). Although it effects all individuals, children who are called passive immigrants are the most vulnerable group to immigration. Immigrants who have not received adequate and quality education experience significant economic problems in the destination country. This is why differences in the education levels of the societies of the countries receiving immigrants and the immigrants themselves profoundly affect both the immigrants and the countries to which they immigrate. Because it has been stated that children who are exposed to immigration and hence displaced have difficulties in complying with the new culture, neighborhood, friends, schools, as well as collective living, and they are unable to adapt for a certain period of time (Uluocak, 2009).